Andy Ramsden is a director and manager of farming operations for Lanaco. He is also a founder of Headwaters New Zealand Ltd.
OPINION: How do we double the value of wool returns to the grower? Lifting wool returns significantly requires a shift in the way we think about wool. We need a new model that puts the consumer's needs first and works back to breed to create a product tailored for that specific market. We need to think, how do we double the value of wool? As opposed to a slight shift, we should ask - how do we go from $3 to $7/kg for coarse wool? We need to get back to a premium value, where the pride in producing a good wool product comes back. 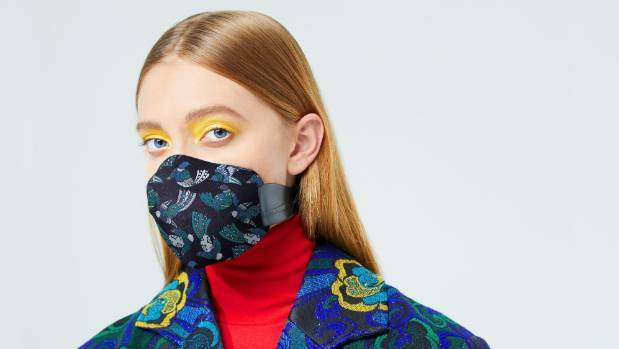 Lanaco produces breathable filters for masks, made from wool. It's no secret that the wool industry is severely depressed, and most farmers find the thought of it even more depressing. There's so much jawboning about the industry and the depressed state it's in. There's plenty of commentary about the fact we need to do something about it, yet no one has pointed to a commercial model that's dramatically changing the return to the grower – that's the bit that's missing. It's easy to point out what's wrong with the industry, but it's hard to actually find a commercial example that is significantly improving returns to the grower. The thing is, you can't fully control the brand of a generic breed. Even merino, which has done a great job, is struggling to get true value back to the grower. Why? Because no one owns the breed. You can't make it exclusive, because the guy down the road can breed it too. To me, this model is wrong. If we don't own something as a trademark with IP, it's very hard to build a value proposition around it. The breeding objective for wool should be more aligned to the end consumer, but it also needs to be owned by somebody. Currently, most of us don't know what happens to our wool beyond the farmgate, who uses it or where it goes. In the wool industry we think more from the past to the present. We need to think from the future to the present. At the moment, we try to ask for more for the wool we've got, rather than developing wool that the future will want. We need to actively look for new spaces for wool. Merino is brilliant for top-end clothing and coarse wool is brilliant for top-end carpets. In addition, we should be looking for new uses for wool, such as in the human health sector. For those new uses, we need to utilise the full range of technologies available and promote more R&D to develop new breeding objectives for wool that create IP in those breeding objectives, so the breed becomes unique. This all has to be connected to consumer needs for the future. Human health is one example of a no-brainer when it comes to where we could be positioning wool for high value. We know all the wonderful benefits of wool, but there's more learning and R&D investigation to be done to apply wool to new products. This country was originally built on the wool cheque and our wool is recognised world-wide as being some of the best, yet we ship it off as a commodity. We need to be adding value here in New Zealand. There are some excellent examples of companies that are already employing this kind of model using wool. Allbirds is a New Zealand success story, having created an innovative merino wool fabric specifically for footwear. The company is now celebrated for its fashionable merino wool runners that are as comfortable as they are sustainable and eco-friendly. Another good example is Keraplast, which extracts keratin proteins from New Zealand wool, to be used in applications like hair care, wound care, skin care, and nutrition. Although an American company, it is a great example of how we can position wool for high value. Then there's Woolcool, a UK company that has developed high-performance, sustainable insulated packaging made from sheep's wool for food delivery and other temperature-sensitive goods. The packaging is entirely biodegradable and recyclable and has been developed in time for a surge in popularity and demand for food delivery services. New Zealand's My Food Bag already uses Woolcool packaging as an eco-friendly, effective way to transport its hugely popular meal kits. 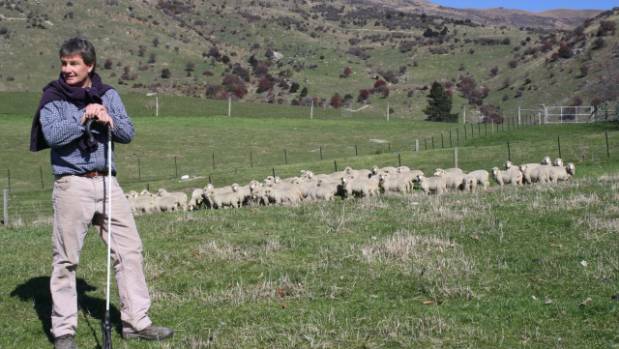 In the meat sector, Headwaters, which I founded and am involved with, is breeding ewes with high levels of fat to thrive in New Zealand's high country. Headwaters has 50 farmer shareholders and we collectively own and control the intellectual property from the breed forward, with an R&D spend and a breeding objective that is dedicated to the consumer at the other end. I also became involved with Lanaco as head of farming operations because I can see the opportunity for the wool grower to participate at a higher level of return and get fair value back. Lanaco is an innovator in wool science and is producing the world's most breathable filters for masks, made from wool. The wool filters are far superior to the alternative synthetic fibres and leverage off the unique biological properties of wool. Compared to synthetic alternatives, wool removes much higher levels of toxins and atmosphere particles, is better at protecting from bacteria and is far more breathable. Knowing all of this, Lanaco created its own sheep breed with a breeding objective dedicated to improving the traits required for the production of wool used for this media. The breed is owned by the company, which allows Lanaco to continually improve its wool supply specifications, reduce variability and make promises to the grower and consumer. It is measuring traits like the variability of individual fibre diameter, chemical attributes and influences and electrostatic potential. There's a lot of R&D going on to identify individual animals that are better and breed from them, which puts us in a better position to create a premium product and it leaves New Zealand as the finished item to the consumer. Of course, the wool is just the icing on the cake. It can't come at the cost of other attributes farmers look for in a sheep. We are continually improving the other traits, like lamb production and performance, meat quality and longevity of breeding ewes – these things cannot be compromised on the journey. We can't fix the whole industry at once, but we need to start finding commercial examples of the change required and look for new opportunities. Lanaco, Allbirds, Woolcool and likeminded brands are all pieces of that puzzle. Higher returns are essential for the future of the industry. Being open to a new model may require changes on-farm, changing breed or investment. It's not necessarily easy to participate in a new direction, but it is necessary to increase returns. Let's start looking for those initiatives that are adopting some of these principles. Look for the R&D being done that you want to get involved with. Let's get debate going in our industry bodies that steer resources. Be open to new opportunities. As the saying goes, if you always do what you've always done, you'll always get what you've always got.